New Year’s Eve morning run with Gojira! 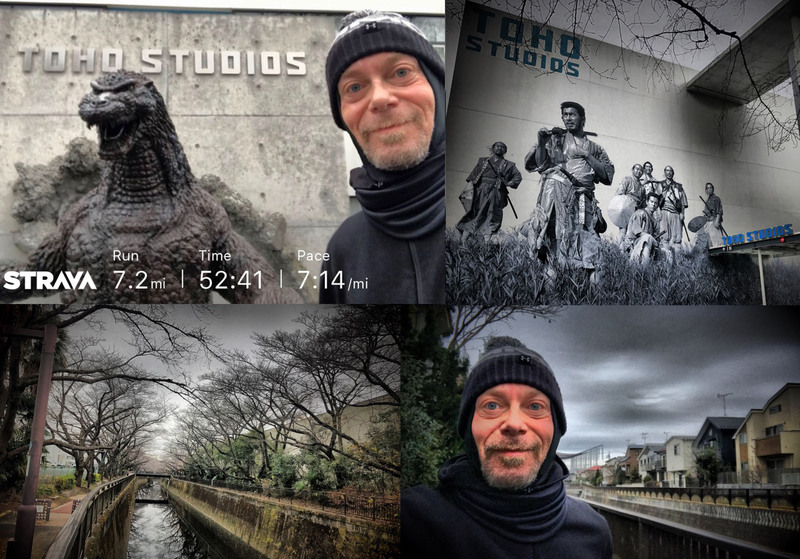 Did my usual TOHO round, but this time I actually looped around the studio complex and for the first time I ran past the main gate! And there I found a nice (albeit not too big) Gojira statue and this huge mural of the Seven Samurai. Very cool. This Sunday morning way more runners were out, even though the weather was gray and murky (and COOOOOLD). But this added some ‘racing fun’ to my run and I came out at an overall nice pace. This entry was posted in Japan 12/17, Run/Walk, Travel. Bookmark the permalink.